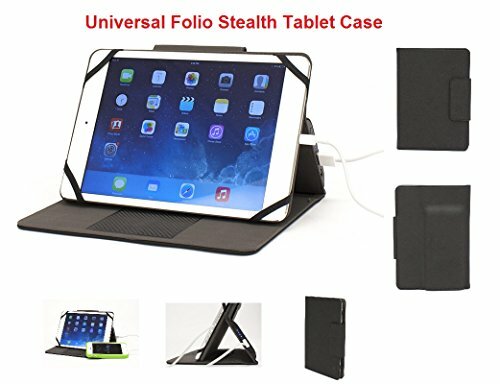 M-Edge Universal Folio Stealth Power 7IN. To 8IN. Tablet For Samsung Galaxy Tabs / Apple IPads etc. Compatibility 7" Tablet 8" Tablet Note 8, Tab 4-8", iPad mini ,iPad mini 2, iPad mini 3, iPad mini 4 Kindle Fire Kindle Fire HD 7" Kindle Fire HDX 7" Nexus 7 etc. GripTrack Technology gives you any kickstand position. Magnetic closure keeps cover securely latched closed. If you have any questions about this product by M-Edge, contact us by completing and submitting the form below. If you are looking for a specif part number, please include it with your message.